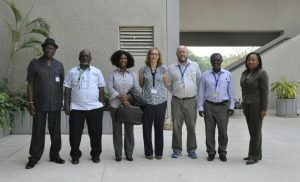 Ennin, who visited on 22-23 February, said her mission in IITA was to get an update on the research and development activities of the Institute, and seek avenues through which CSIR can strengthen collaboration. Ennin met with members of the IITA General Directorate and staff, and disclosed CSIR’s intentions to foster partnership ties with IITA. She noted that CSIR is committed to research as its core mandate, and so it would collaborate with stakeholders to sustain food security in Africa. She went on to commend the work being done at IITA and the technologies developed in recent times. Hilde Koper-Limbourg, IITA Deputy Director General, Corporate Services, welcomed Ennin to Ibadan and said that IITA is ready to provide the necessary support for collaboration with CSIR. “We are glad to have you here. 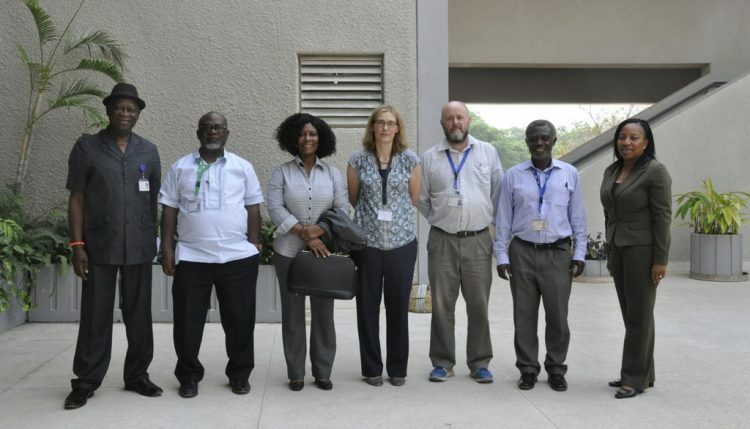 IITA is ready to collaborate with you on mutually beneficial areas,” Koper-Limbourg said. While touring the Institute’s facilities, Ennin showed interest in the activities of the IITA Youth Agripreneurs and Business Incubation Platform (BIP). “I see a lot of opportunities for improved collaboration in crop breeding, capacity building of staff, bioinformatics, and DNA sequencing. I also want to collaborate in the youth business due to the high rate of unemployment, and learn new ways… I am impressed with IITA. I have seen how seriously IITA takes partnerships with relevant organizations,” she mentioned. Going forward, Ennin expressed optimism that IITA-CSIR collaboration will help accelerate agriculture modernization, increase productivity, create jobs, increase incomes, and ensure food security.